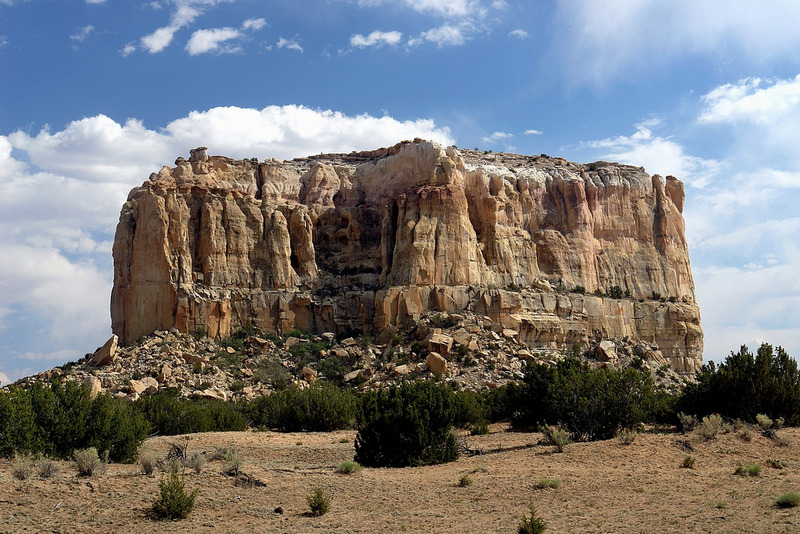 Enchanted Mesa or Mesa Encantada is a sandstone butte in Cibola County, New Mexico, United States, about 2.5 miles northeast of the pueblo of Acoma. 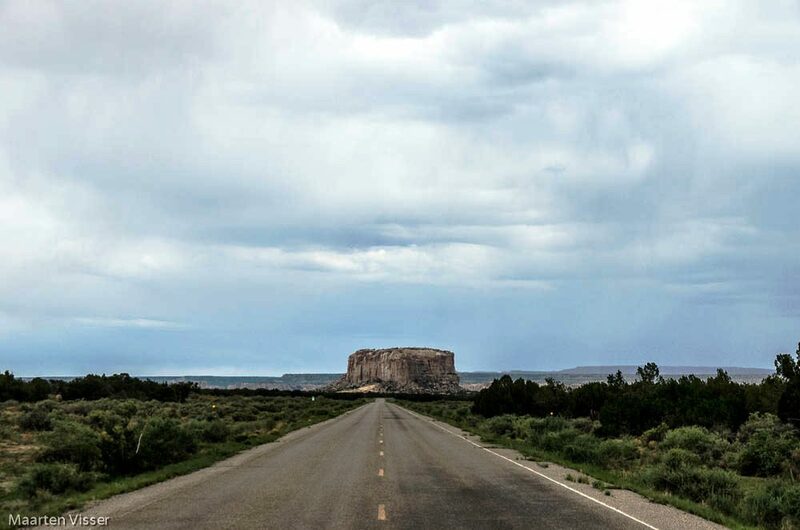 It was home of the Acoma people until a massive landslide and severe storm completely demolished the only approach. There are no longer any ruins on the flat top. 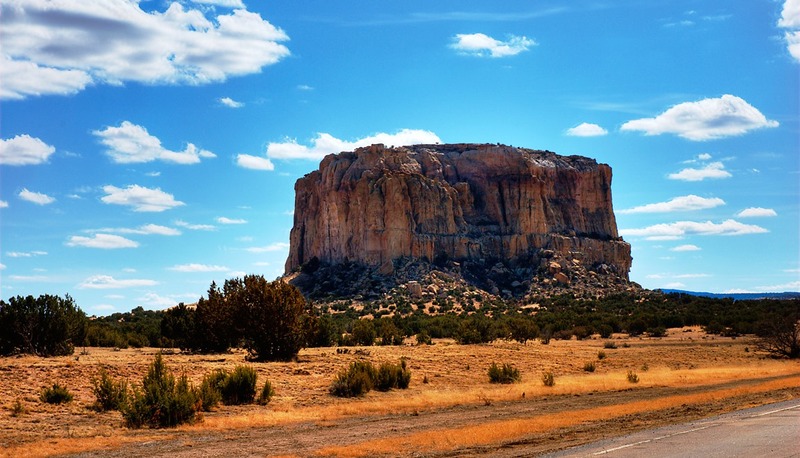 The butte is 430 feet high, 1,250 feet long and only 400 feet wide, at its widest. The elevation at the top is 6,643 feet. 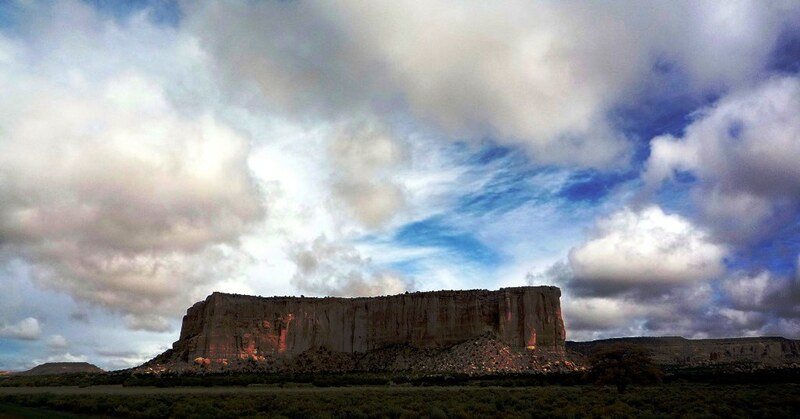 It is believed that massive cliffs are formed by the Zuni Sandstone and the butte is topped by the Dakota Sandstone. In 1892 The Charles F. Lumins visited Acoma and express the story of Acoma People life style on Enchanted Mesa. The access from southern side to top with a large piece of butte had spalled off and formed a ramp called stone ladder up to the top. So, there main source was their fields, springs, and water source were in the valley. Therefore, once the summer season start, the entire village descends into the valley to tend the crops. So, once an unfortunate day, a severe thunderstone washed away the stone ladder leaving only sheer rock faces all the way around the butte. Only one young boy and three old women did not leave in the village, which couldn’t get down nor could anyone else get back to the village. A giant thunderbird swooped down and scooped up the four and carried them to the valley floor. 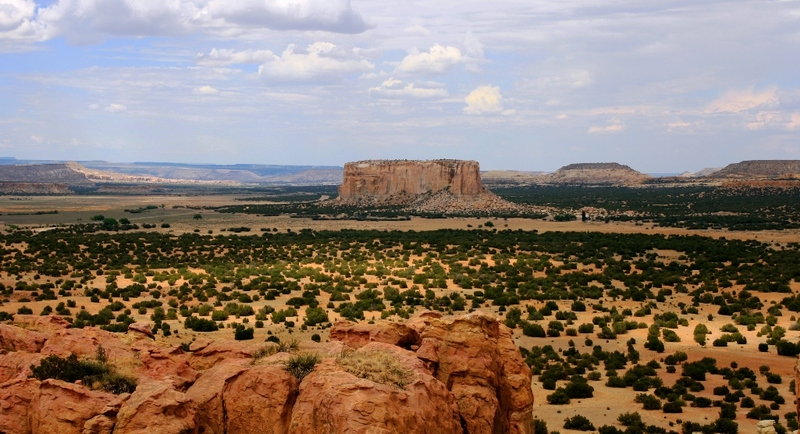 The Acoma people abandoned Enchanted Mesa and moved to White Rock Mesa, now called Acoma. In 1897, Professor Williams Libbey from Princeton University climbed Enchanted Mesa, where he spent two to three hours in exploring, however he didn’t find anything ruins or artifacts. Moreover another archaeologist Frederick Webb Hodge didn’t believe Libbey findings, and he went on expedition in 1897 and found evidence of occupation, arrow points, stone tools, beads and pottery fragments lodged in crevices. He said, main ruins had been washed over the edge by many centuries due to massive thunderstorms. In 1974, an Acoma police officer claimed, that he had seen a UFO over Enchanted Mesa, which was later confirmed by other police officers, a red light, fast than any aircraft. 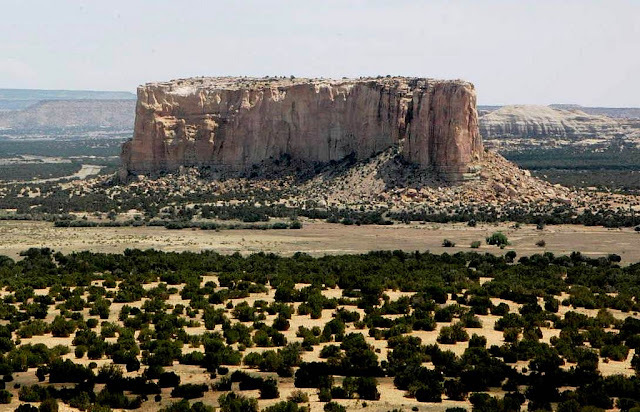 So, a helicopter was sent to top of Enchanted Mesa to find the evidence of UFO, however no direct evidence was found.